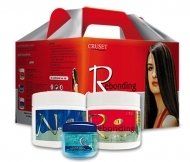 Home Hair Care Hair Straightening Cruset X10 Hair Straightening Cream 300 ml. 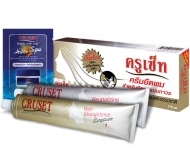 ครูเซ็ท สปา แอนด์ ซิลกี้สเตรท 90/170 มล. 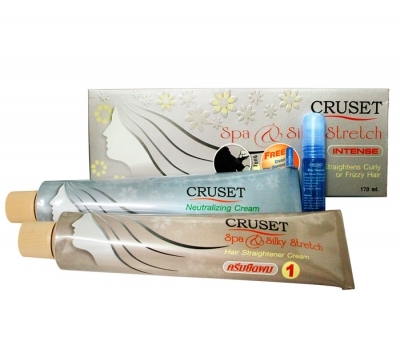 Cruset Spa & Silky Stretch 90/170 ml. 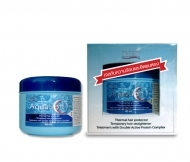 The Spa formula for straightening the hair with the fresh scent, suit for curly, wavy, frizzy or hard to manage hair. 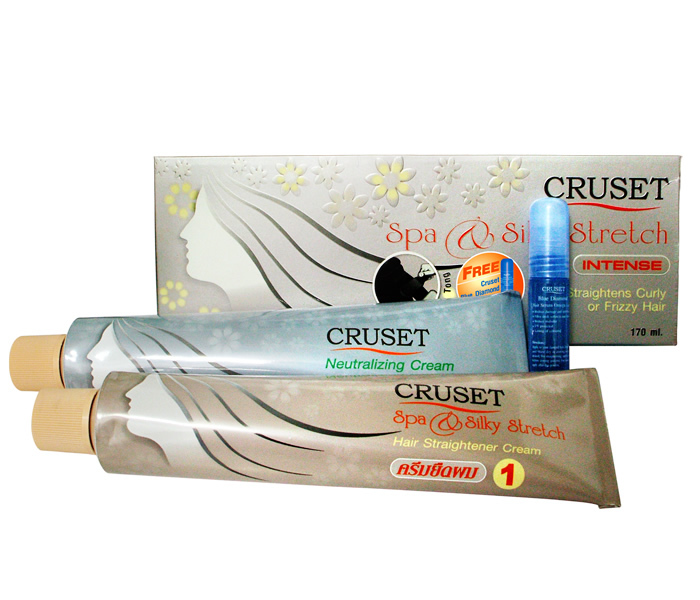 Get a complete nourishing treatment and heat protection for a long-lasting radiance, volumized and healthy of hairby by Cruset Blue Diamond Hair Serum included in the set. 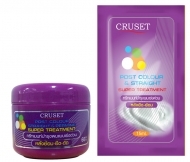 Cruset Aqua Soft 60 ml. 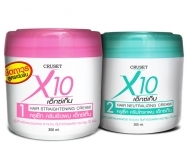 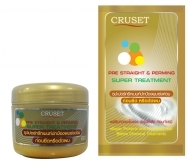 Cruset X10 Hair Straightening Cream 300 ml.